Lee Jung-hun, the CEO of Nexon Korea, stated yesterday that the company has no intention of acquiring Bitstamp. The news comes contrary to rumours that began circulating based on an article published on Business Insider. He added that Nexon were not ruling out integrating some form of blockchain technology with its efforts in the field of game development. Lee Jung-hun went on to acknowledge that distributed ledger technology could have many different applications within game design. The press conference at the Nexon headquarters was the first delivered by the new CEO. Lee Jung-hun has only been in the position since January. As well as addressing the Bitstamp rumours in his statement, he also affirmed the company’s commitment to developing interesting new games in a variety of different genres. The goal, it seems, is to create an even more diverse catalogue of titles and to use emerging technologies such as AI and blockchain where appropriate. Nexon have created such long-running PC games as MapleStory, Mabinogi, and Dungeon Fighter Online. Popular mobile games such as Heroes of Incredible Tales are also property of the Korean games production company. 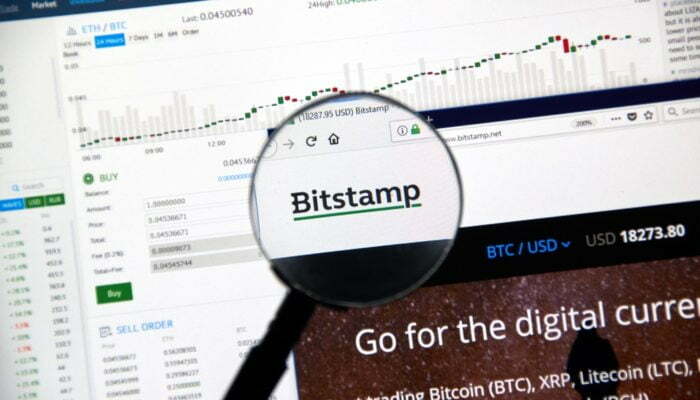 The remarks relating to Bitstamp follow a recent report in Business Insider that was picked up by ourselves and other cryptocurrency news sources. The original article alleged that the Luxembourg-based exchange was currently in talks relating to a potential sale and that the South Korean game developers were the most likely to make the acquisition. Bitstamp was founded back in 2011. It has been a consistent feature of the cryptocurrency landscape ever since and is today the world’s 13th largest cryptocurrency exchange. It’s also the only platform that is fully licensed in Europe. The Korea Herald report that of the three million accounts registered at Bitstamp, one in six are active trading accounts. The company also had a very busy 2017 by adding many extra features to the exchange. These included: credit card support for U.S. customers, as well as the addition of Ripple, Ethereum, and Bitcoin Cash trading in January, August, and September respectively. South Korean Games Firm Nexon Denies Bitstamp Acquisition was last modified: April 26th, 2018 by Rick D.